The nervous system helps you sense the world around you. It includes the brain and the nerves as well as the senses. 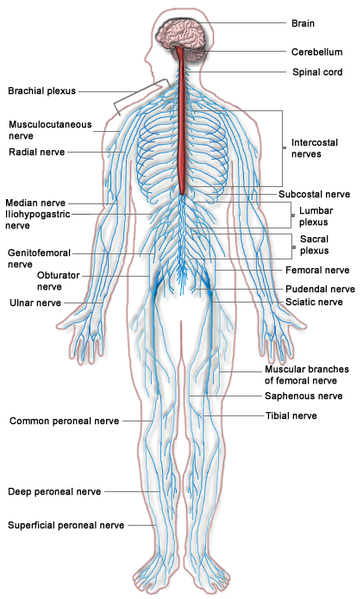 The nervous system can sense changes inside and outside the body through specialized cells called receptors. This information in the form of small electric currents, is analyzed and responses are generated in the nervous system. These responses again, in the form of small electric currents are conveyed to the appropriate organs such as muscles or glands at a great speed. This page was last edited on 17 January 2010, at 11:11.